People who complained about having been arrested and detained to prevent a breach of the peace on the day of the Duke and Duchess of Cambridge’s wedding in 2011 have had their appeal to the European Court of Human Rights unanimously declared inadmissible. It moreover pointed out that their analyses had proved to be well-founded, and had informed a 2018 Grand Chamber judgment of the European Court: S., V. and A. v Denmark. The applicants in this case, Hannah Eiseman-Renyard, Brian Hicks, Edward Maltby, Patrick McCabe, Deborah Scordo-Mackie, Hannah Thompson, Daniel Randall and Daniel Rawnsley, are variously British, Irish and British/Spanish nationals. On 29 April 2011 large numbers of foreign royalty and other heads of state were in London, thousands of citizens were expected and the threat level from international terrorism was assessed as ‘severe’. The police had received intelligence that activities were planned to disrupt the celebrations. The applicants were taken to different police stations and released without charge once the royal wedding was over. Their periods of custody ranged from about two-and-a-half to five-and-a-half-hours. Hannah Eiseman-Renyard and Deborah Scordo-Mackie had intended to take part in a “zombie picnic”. According to information received by the police, those dressed as zombies would attempt to throw maggots as confetti at the royal wedding procession. The other applicants had planned to participate in a republican protest in Trafalgar Square. Most of the applicants had no previous convictions or cautions. The applicants sought judicial review of their detention which was heard over three instances terminating in 2017 in the UK Supreme Court. 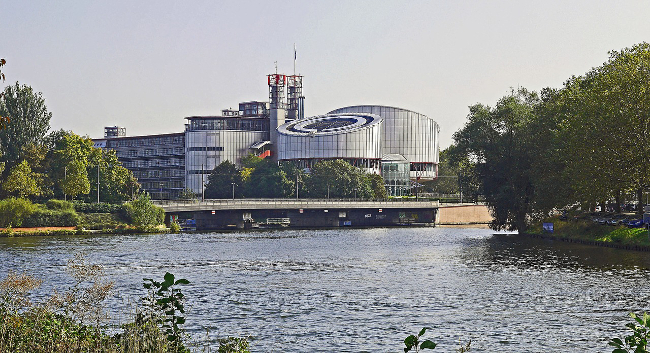 The applicants argued before the Supreme Court that preventive detention was not compatible with the European Convention, as found by the ECtHR in a Chamber judgment of 2013 (Ostendorf v Germany). It agreed with the concurring opinion of two of the judges in Ostendorf that the majority had interpreted article 5 (right to liberty and security) of the Convention too strictly in that case and preventive detention could be compatible with article 5 in certain circumstances. The court noted that the UK courts had undertaken a comprehensive review of the background facts of the applicants’ cases. Like the court, they held that the arrests had been necessary to prevent the likelihood of an imminent breach of the peace, taking into account the crowd size, international interest and “severe” threat level on the day of the royal wedding. Furthermore, the applicants had been released as soon as the imminent risk had passed and in all cases their detention had only been for a matter of hours. The court, therefore, considered that there were no convincing reasons for it to depart from the domestic courts’ decisions in the applicants’ cases. The court concluded that the applications were inadmissible as manifestly ill-founded.